How training ten locals is set to unearth tourism potential and take science to thousands. The ‘Hidden National Treasure’ project is turning Flinders locals into science communicators and working with them to develop Ediacara fossil tourism ‘experiences’. 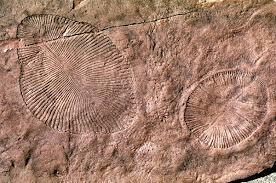 Fossils from the Ediacaran Period have lain hidden like buried treasure for 550 million years under the ancient sea floors of outback Flinders Ranges. This project has trained ten locals in palaeontology and communication, allowing science engagement to infiltrate into local tourism activities. Project manager Damia Ettakadoumi of Straight Up Science says the project capitalises on the passion and enthusiasm the people who live in the region have for the fossils. It also takes advantage of the fact that many already offer guided tours of their properties, nearby gorges and geological formations. The beauty of the project is its ability to reach ‘beyond the converted’. Breath-taking scenery, wildlife, bushwalking tracks and the landscape paintings of Hans Heysen attract a wide range of visitors to the region – people who might not otherwise engage with science. Ten locals have received Certificate III training and an intensive course in Ediacara palaeontology and geology. They can now confidently explain the Ediacara story to tourists. Damia and her colleagues are now working with the Flinders locals on the next stage of the project: developing tourism experiences and resources, such as formalised fossil tour routes, brochures and tourism apps. They will also develop an Ediacara brand to help promote Flinders fossil finding adventures internationally. The Flinders Ranges is one of 16 regions chosen for the Australia’s National Landscapes program, a tourism development and conservation partnership managed by Tourism Australia and Parks Australia. Other regions include the Australian Alps, the Great Barrier Reef and Ningaloo-Shark Bay. The Hidden National Treasure project injects science education into this tourism development, with outcomes that will be great for both public education and the local economy.